Ogilvie Construction has climbed another place, reaching 6th in the top ten building contractors in Scotland in the latest Construction News League, published by Construction News. 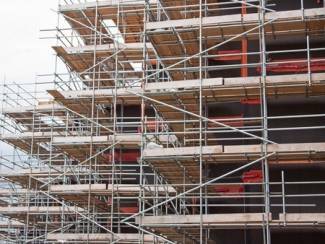 The report is indicative of the continued successful growth of the constructor business, which has secured a number of public sector works, along with major projects in the private sector, particularly in hotel, leisure and student accommodation sectors. Ogilvie Construction has completed two new student accommodation buildings in Edinburgh for Ziggurat Student Living. The buildings are within a few hundred metres from each other, at Murano Place and Shrubhill on Leith Walk and total 532 beds. The Shrubhill site will also house over 18,000 sq ft of retail space, with Sainsbury’s confirmed to create a convenience store on the ground floor. 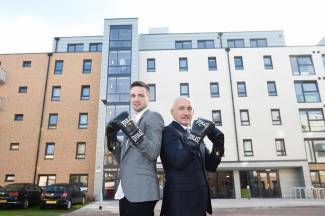 The new accommodation was recently opened by famous boxers Barry McGuigan MBE and Edinburgh born Josh Taylor. Find out more about opportunities for small, medium and social enterprises on this exciting project and others. 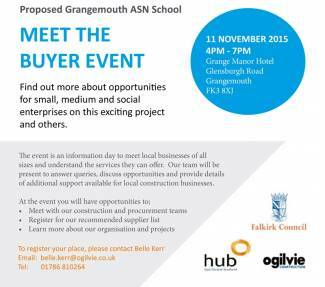 The event is an information day to meet local businesses of all sizes and understand the services they can o er. Our team will be present to answer queries, discuss opportunities and provide details of additional support available for local construction businesses. View the PDF with details, here. Ogilvie Construction recently handed over an eight-storey student accommodation building called Arran House, in the Fountainbridge area of Edinburgh. The £11 million project was awarded to Ogilvie for The Student Housing Company, and provides 302 high quality student apartments of varying sizes, along with retail space on the ground floor. The Student Housing Company manages purpose built student accommodation across the UK and Europe, and prides itself on delivering high quality accommodation, excellent levels of service, security and attention to detail. Ogilvie Construction, part of the Ogilvie Group, is one of Scotland’s most consistently successful family owned businesses. The company is over 60 years old and employs over 400 people across its various business operations. Work is about to start on the first building at Drumpellier Business Park in Coatbridge, the joint venture initiative between Ogilvie Group Developments and North Lanarkshire Council’s regeneration company, Fusion Assets, which has planning permission for 65,000 sq ft of office development. 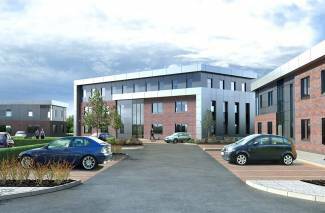 The two storey, 8,000 sq ft building, to be called Enterprise House, will provide high quality office space, sub divisible to accommodate a range of units from 1,500 sq ft upwards. Ogilvie Construction will build the new facility after an award of over £1.1 million grant funding from the Scottish Government’s Regeneration Capital Grant Fund. The business park is located in prime position with excellent access to major road and rail networks, as well as public transport and will incorporate over 200 parking spaces. Enterprise House will offer local businesses the opportunity to be based in a modern high quality building in a very accessible location. Knight Frank and Whyte & Barrie have been appointed as the letting agents. Ogilvie Construction has climbed one place to 7th in the top ten building contractors in Scotland in the latest independent index, published by Construction News. The survey showed that for the year to July 2015 Ogilvie has won 19 new deals with a combined contract value of over £155.8 million. Ogilvie Construction has started work on a £11 million project to build a new development in Aberdeen for SACO The Serviced Apartment Company. The nine storey building on Union Street will include studio and one bedroom apartments grouped around internal courtyards. It will incorporate a café bar on the ground floor with the apartment reception on the first floor. The project is due to be completed in Autumn 2016. The new building will transform the site of a former music shop, which ceased trading several years ago. 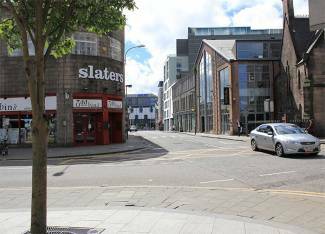 “We are delighted to be working with SACO to deliver a major project that will provide high quality accommodation in the centre of Aberdeen. Ogilvie Construction is part of the Ogilvie Group is one of Scotland’s most consistently successful family owned businesses. The company is over 60 years old and employs more than 400 people across its various business operations. 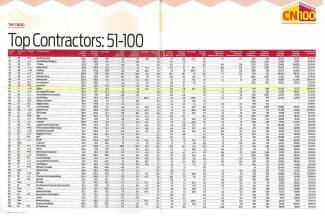 Ogilvie Construction has climbed ten places to 61st in the UK league of construction contractors and maintained it’s top ten position in Scotland at number 8. The latest independent index, published by Construction News, shows that for the year to July 2015 Ogilvie has won 17 new deals with a combined contract value of over £143.1 million. The report is indicative of the continued successful growth of the business, which builds high quality buildings in a range of sectors including the hotel, leisure and student accommodation sectors, as well as major public and private contracts. 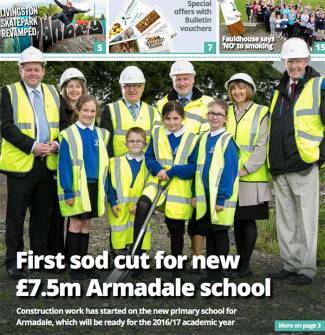 The West Lothian Council bulletin (issue no.75, Autumn 2015) features the Ogilvie Construction primary school building project for Armadale. "The £7.5m project remains on target for the first phase of the school opening in August 2016." "In September 2014, Council Executive approved funding for the development of a new primary school in Armadale to enable the school to be available for the 2016/17 academic year." "Work will commence this Summer following the appointment of OgilvieGroup to build the school." "Local people will be able to see the new school building take shape over the summer months and we look forward to working with Ogilvie to see the school building develop from he design stage through to completion. Both the school and Ogilvie will ensure that parents and pulls are provided with regular updates on the school's profess over the months ahead." As reported by the BBC new service on 30th July, 2015, Scottish firms are seeing an increase in workload as the industry continues to recover. The latest RICS (Royal Institute of Chartered Surveyors) market survey found 33% respondents saw an increase in activity throughout the second quarter of this year. 73% more surveyors expect to see an increase in workloads. "There still remains a serious shortage of construction professionals required to deliver the increase in workloads being experienced. "This has the added effect of key staff being subject to increased unsolicited approaches from various sources as well as through social media. "This will drive up costs as companies need to compete to maintain adequate resource levels."